Filipino boxer "Little Pacman" Joebert Alvarez is scheduled to face the American boxer Miguel Cartagena on July 15, 2016, at Kissimmee Civic Center, Kissimmee, Florida. The Filipino boxer is a 26 years old from Sultan Kudarat, Philippines. He was one of the best fighters in the Flyweight division. Alvarez is a tested fighter and fought some big names including Juan Francisco Estrada where he lost via controversial unanimous decision and Jonathan Gonzalez where he knocked out in front of his fans in Puerto Rico. On the other hand, Miguel Cartagena is a 24 years old boxer with the record of 14 wins including 5 victories by way of KO and has only 3 defeats. The American boxer won the vacant International Boxing Organization International super bantamweight title after winning the fight against Javier Franco via 12 round decision. 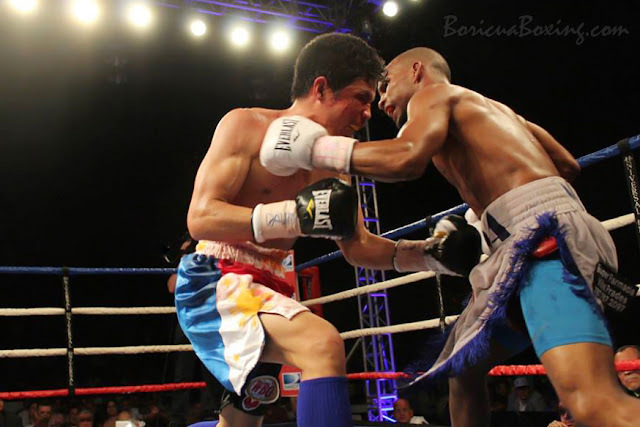 In his last fight, Cartagena lost via UD against Ricardo Rodriguez of Mexico.